This week’s Survival Saturday news discusses robbery. Let’s relate that to the news. With it being tax time and all, my renewed rage at the system had me reading quite a few articles on the topic this week. The best one I read was this piece that says income taxes are not even legal, yet we pay them anyway, lest our belongings be confiscated and we find ourselves behind bars. Former IRS Special Agent Joe Bannister discussed the fallacious taxation codes with CNBC. “Essentially, its many pages are a work of legal fiction, operating under ‘color of law’ and used to oppress the people, and separate established wealth from everyone else. Of course, this isn’t news to everyone. Back in 1913, Constitutional scholar Albert H. Walker said that the income tax was illegal but nobody listened. Last week, one of the blurbs in the Survival Saturday post discussed the fact that we spend more on taxes than we do any other expense. Just imagine if the income tax code was overturned and you could actually count your money as your money again. Here’s what the Bern of socialism really feels like. 3.) The excruciating aftermath when it fails…again. Those who don’t learn from history are doomed to repeat it. And in Venezuela, they’ve repeated it. For the past two years, I’ve been writing about the suffering of the Venezuelan people, who are out of basic necessities and food under the guidance of former bus driver, current president Nicholas Maduro. Their economy wasn’t able to withstand the warm fuzzy promises, and now it’s collapsing. In the latest installment of the Collapse of Venezuela Saga, electricity, despite strict rationing, is in very short supply. But don’t worry, only the regular people have to ration and/or do without. I guess their feeling the Bern of socialism even without Mr. Sanders. And please, smack some sense into the next person who chirps “But it’s democraticsocialism.” Socialism is socialism. Period. They will take your stuff and distribute it to people without stuff. They’ll vote on the taking of your stuff but they’ll still take it. Do you have the supplies on hand to face a long-term disaster? Whether it’s a natural disaster, an economic collapse, civil unrest, an unexpected expense, or a personal interruption in income that keeps you from doing your regular grocery shopping, do you have what you need to keep your family nourished? Over the past 3 days, Asia has been the site of at least 5 large earthquakes (above 5.9 in magnitude) and Japan is dealing with hourly aftershocks as they scramble to rescue people buried alive under the rubble. This has led one seismologist to make a terrifying prediction which was published in an article in the UK Express. Roger Bilham of the University of Colorado believes that these may not be the main event, but a precursor to something worse. “The current conditions might trigger at least four earthquakes greater than 8.0 in magnitude. 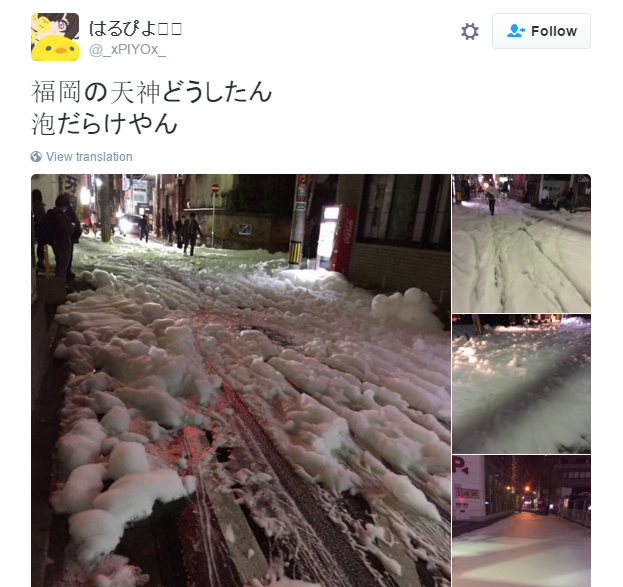 In other earthquake weirdness, one city in Japan is covered in a mysterious foam after the quake. Twitter users posted the following pictures. 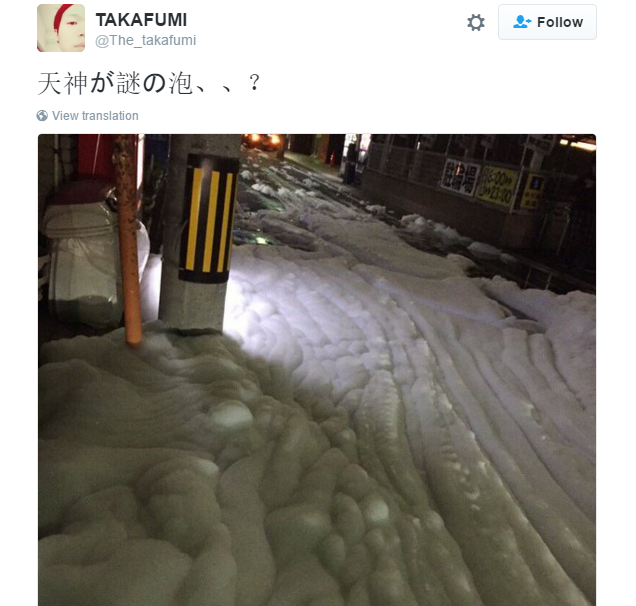 Fukuoka, the site of the unexplained foam, is 90km away from the epicenter of one of the quakes. Would you know how to survive an earthquake? I actually learned some things from a movie last year with The Rock, proving that knowledge can be acquired in the darnedest places. However, the smart money is general prepping: be prepared to shelter in place with food and water, or if the situation is unstable, know when to bug out with your family. Want more info for self-reliant lifestyles? The Self-Reliance Weekly Report links you to all the best articles relating to prepping, homesteading, DIY, and independence. This week the topic is getting a garden started to grow your own food. We all know it’s cheaper to raise food in your backyard than it is to go to the grocery store. (And since I’ve got taxes on the brain this week, you get to avoid sales tax, too!) But what about getting your garden started? That can cost you an arm and a leg, and possibly a third-born child. Good news: It doesn’t have to be like that! 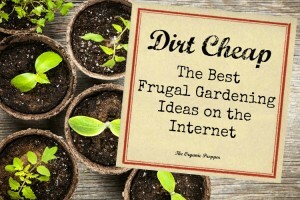 Check out my round-up of the best frugal gardening ideas on the internet! What’s going on in your part of the world? Do you have any news links you want to share? Now’s the time! Please post your links in the comments below. I’d love to get more local stories here so we can all have a better picture of the world!